Morrie’s Auto Body & Glass Repair Brooklyn Park and Morrie’s Auto Body & Glass Repair in Plymouth repairs all makes and models at competitive prices. We offer free estimates and assistance in handling any insurance claim or question. For you convenience, we will help arrange alternative transportation to fit your needs. 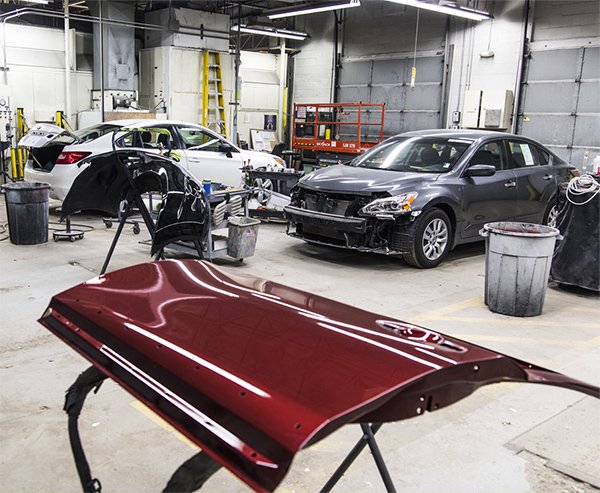 Our body shops service the entire state of Minnesota with locations in Brooklyn Park and Plymouth. You can be confident about your Morrie’s body shop repairs, as our Industry I-Car trained technicians utilize state of the art, computerized paint mixing and frame straightening equipment. Morrie’s Auto Body & Glass Repair warranties the workmanship of our experienced craftsmen.